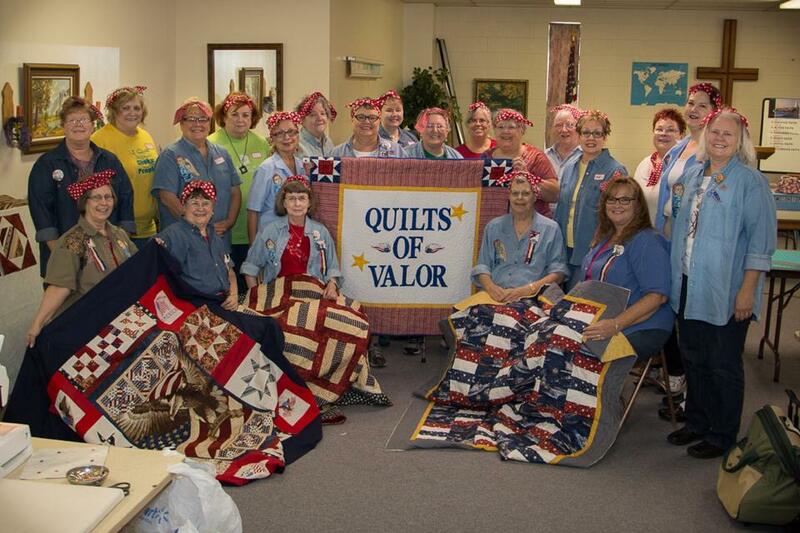 In honor of South Carolina veterans this fall, the State Library is partnering with the S.C. Chapter of the Quilts of Valor Foundation (QOVF) to host a rotating exhibit of patriotic Quilts of Valor. 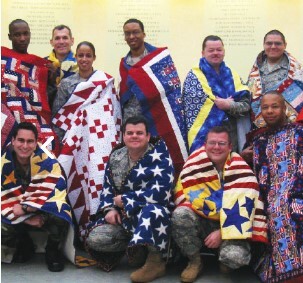 A Quilt of Valor is a handmade quilt of the highest quality made by volunteers of S.C. Quilts of Valor. Throughout this three month exhibit, quilts on display will be awarded to South Carolina veterans and active military service members from the Midlands in Awards Ceremonies held at the SC State Library. This exhibit is open to the public from November 1, 2018 to January 9, 2019. We welcome you to visit the State Library and view the beautiful display of quilts. Please join us for one of several award ceremonies taking place during November, December, and January to honor local veterans or for a Sew Day workshop on November 7 from 11 a.m. to 2:00 p.m.
For more information, please contact Virginia Pierce, Public Services Librarian, VPierce@statelibrary.sc.gov or (803) 734-8646.